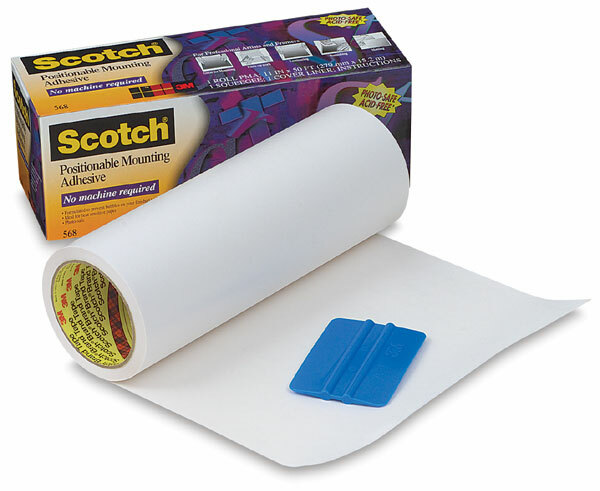 3M's Scotch Positionable Mounting Adhesive is a special synthetic adhesive that allows material to be positioned and repositioned for accurate alignment, yet forms a high strength permanent bond when passed through the PMA applicator. The adhesive is long-aging, and will not discolor or dry out. #568 PMA Adhesive, 50 ft (15 m) long. ® 3M is a registered trademark.® Scotch is a registered trademark.